Limit Breaks in Bloodline is a Fuse Hero feature that can increase the Lvl Caps of Heroes, giving them more space to enhance their stats. Limit Breaks will also increase the attributes of the hero as a bonus, making them stronger under their current number of Stars. Your base Hero must be at least 3 Stars and have available Limit Break slots. The Lvl of your base hero can be Lvl 1 or any. If a 5 Star Hero has only 3 "Yellow" Stars, that hero will only get 1 Limit Break. Note that not all 3* Heroes have Limit Breaks like Ron, so check the stats window of your Hero first to confirm. Fusing 2 same heroes can trigger a Limit Break, so make sure your duplicates share The Same Exact Name with your base Hero. The Lvl of the duplicate hero/es can be Lvl 1 or any. - If I want to give a Limit Break to my BloodLady Sha (3*/4* card), then I need to get another BloodLady Sha (3*/4* card). Using Royal Vamp Sha (2*/4*) or Vampire Sha (1*/4*) will NOT activate the Limit Break, so be careful. Limit Break increases the Hero's MAX Lvl capacity by 5, and enhances Attribute Stats. - 3* Heroes can only do 1 Limit Break, so if you want to enhance your Hero further, you now need to evolve the Hero to 4* and unlock 2 Limit Breaks. - For 4* and 5* Heroes, you can do more Limit Breaks until all slots are filled. - My 4* Hero requires 2 duplicates to evolve to 5*, but I decided to use 1 duplicate to give 1 Limit Break to my 4* Hero while gathering the other materials. Now, is that a good decision? - It's totally OK to do this, Why? - After using 1 duplicate for a Limit Break, the required number of duplicates to EVOLVE that 4* hero will drop by 1. Yes, if you will check the evolve screen of that 4* Hero, it will now only require 1 duplicate. Good! - One drawback I've seen so far is that, your Hero will have a higher Lvl cap before u can evolve that card to 5*. The process will become slower but still ok, because after evolving, you'll have a Lvl 55 or Lvl 60 Hero anyway. - If you will evolve your 4* Hero at Lvl 50, that is without Limit Breaks, one advantage you will get is that, you can start pumping Skill Mats to increase your Hero's ULT Skill Lvl. On the other hand, if you will evolve your Hero at Lvl 55 or 60, all points given to your ULT SKILL within that time will reset to Lvl 1. - Limit Breaks will reset to 0, so if your 4* Hero has 2 active Limit Breaks [ I I ], it will become [ I I I I ] after evolving to 5*, resetting all active Limit Breaks, but adding more slots. 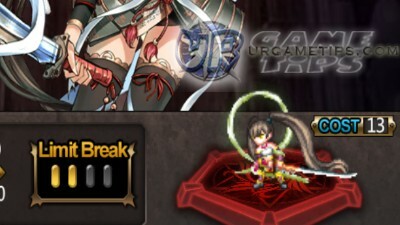 Will I also Lose the Stats from Limit Breaks? - No, Lvl caps and all stat bonuses from Limit Break/s will carry over to the next. - Do Limit Breaks whenever possible. - If you already have the 2 duplicates, complete requirements then go Evolve your Hero. - If you only have 1 duplicate and you think it's gonna take time before you can get another one, then go unlock 1 Limit Break. Once you have the 2nd duplicate, complete requirements then evolve right away. If for some reason, the other materials needed will take some time to gather, then do a 2nd Limit Break, especially when your Hero reached his/her Lvl cap. - There is also a nice tip that if you will fuse 2 duplicates right away, the EXP needed to get from Lvl 50 to 60 is lesser than a Hero evolved at Lvl 50 and leveling that Hero to Lvl 60. - Basically, it means that a 4* Hero has lower EXP requirement per Lvl than a 5* Hero, so it's best to do Limit Breaks right away. - If you already have the duplicate, go evolve, but if you are having trouble getting all materials, and you think it's gonna take some time, then go for the Limit Break (Lvl is max or not, your choice), and since Lvl 40 is still pretty achievable. - Most players will probably lie low on Heroes with 3 Stars Max after the early stage, because you'll eventually get more 4* Heroes as you go through the game. - My advice is to NOT Limit Break them, just use what you need to carry your team until mid game, then sell both cards later to get 6 Crystals. - Only do Limit Breaks to your core heroes, to conserve resources. - Always check your Hero's Evolution requirements including Gold before deciding. If it's pretty close to completion, better hold on to your duplicates. - If your Hero reached his/her Max Lvl, you can switch to other heroes to let them Lvl up too, while gathering materials or duplicates.